Good Agricultural Practices (GAP) is a series of on-farm practices designed to minimize the risk of food contamination, maintain a clear record of how food was produced, handled and stored; and ensure that produce is coming from a clean, well-managed environment. The application of practices are verified by third party audits. 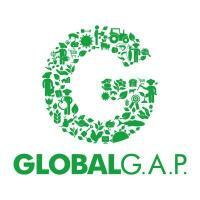 Jackson Farming Company has been certified by both GLOBALG.A.P. and USDAGap. This ensures that our operations and products adhere to the international Good Agricultural Practice standards for product safety, environmental and labor standards. The Eastern Cantaloupe Growers Association focuses on ensuring the delivery of safe cantaloupes to US markets. Safety is a key element in building consumer confidence. As a certified ECGA farm we have adopted higher food safety standards and have committed to strict adherence to those standards, including unannounced audits at our farms and packing facilities. 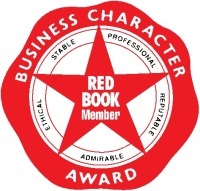 The Red Book Business Character Award recognizes ethical trading practices, business competence and financial stability. This award is reviewed on an annual basis to ensure reputable operation and considerable industry expertise. The Produce Reporter Company’s Blue Book has been a trusted source of information and value to the global produce industry for more than 100 years. 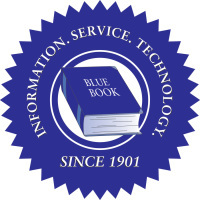 As a Blue Book member, Jackson Farming Company utilizes Blue Book Service to provide us with timely accurate information about the produce industry. United Fresh Produce Association is renown for its strong commitment to food safety, quality assurance, nutrition and health. Founded in 1904, its mission is to support the growth and success of produce companies and their partners. The Produce Marketers Association provides its more than 3,000 members in 45 countries with the latest information about industry innovations and best practices from around the world. 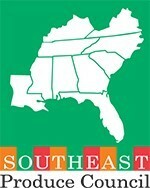 The South East Produce Council promotes the consumption of fresh fruits & vegetables in Florida, Georgia, Alabama, Mississippi, Louisiana, Tennessee, North Carolina, South Carolina, Kentucky, & Virginia through networking, innovation, community, and educational opportunities. The National Watermelon Association operates with a single objective: to increase consumer demand for watermelon through promotion, research, and educational programs. The North Carolina SweetPotato Commission Inc. is a nonprofit corporation made up of over 400 sweet potato growers along with the packers, processors and business associates that support them. The sole purpose of the commission is to increase sweet potato consumption through education, promotional activities, research and honorable horticultural practices among its producers. Got to Be NC Agriculture promotes North Carolina's agricultural bounty to consumers in North Carolina, across the country, and around the world.